Trademark is located at the corner of W. Trade St. and S. Mint St. in Uptown Charlotte's 3rd Ward. Trademark is located four blocks from the Bank of America stadium, five blocks from the Charlotte Bobcat’s arena and is two blocks from a Harris Teeter grocery store. Trademark has a total of 202 units spread out over 28 floors. The first floor is retail and second and third floors are offices, and the rest are residential. 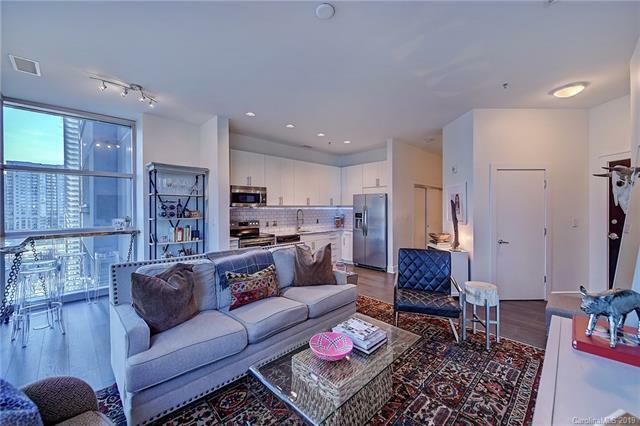 Units have 10 foot ceilings, granite kitchen and bathroom countertops, hardwood floors, and private balconies. The amenities at Trademark include a 7th floor, 12,000 sq ft terrace with heated pool, fire pit, dog friendly area, pool table and outdoor grill. Also located on the 7th floor is a community room with a 42 inch plasma TV as well as an exercise room.